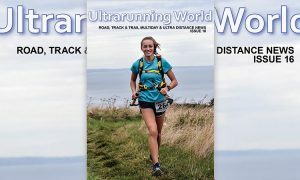 One man’s attempt to push the limit of ultra marathon running. 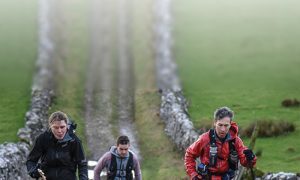 This was the challenge of a lifetime for Edinburgh doctor and ultra-marathon runner Andrew Murray. 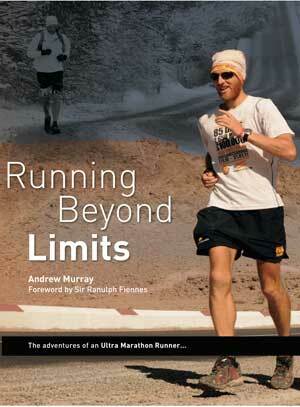 Andrew Murray has been running since 2005 when he realized that it might be a good way to see a bit of the world. the Arctic, the Sahara and Outer Mongolia. Temperatures at these events have ranged from -70 to +45 degrees celcius. On the other hand, Andrew has also been overtaken by a donkey, and a nine-year old boy while running 2659 miles from the far north of Scotland to the Moroccan Sahara – www.scotland2sahara – a run that raised over £78,000 for the Yamaa Trust, a charity that helps to ameliorate poverty in the south Gobi region of Mongolia. That run also inspired over 1200 people to accompany Andrew on part of the route and was the subject of an hour-long BBC documentary. As an expedition/event doctor Andrew has worked on six continents and the geographic North Pole where he has been able to study the effects of extreme conditions on some of the toughest athletes in the world. 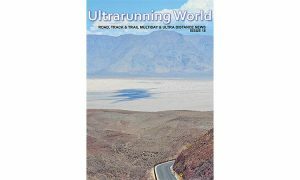 Running Beyond Limits is the story of the remarkable Scotland to Sahara run, interwoven between tales from some of the most extreme running events imaginable. AVAILABLE HERE FOR PRE-ORDER LAUNCH DATE 17th Sept 2011 – PRICE INCLUDES FREE UK P+P please ignore invoice only £19.99 will be charged.